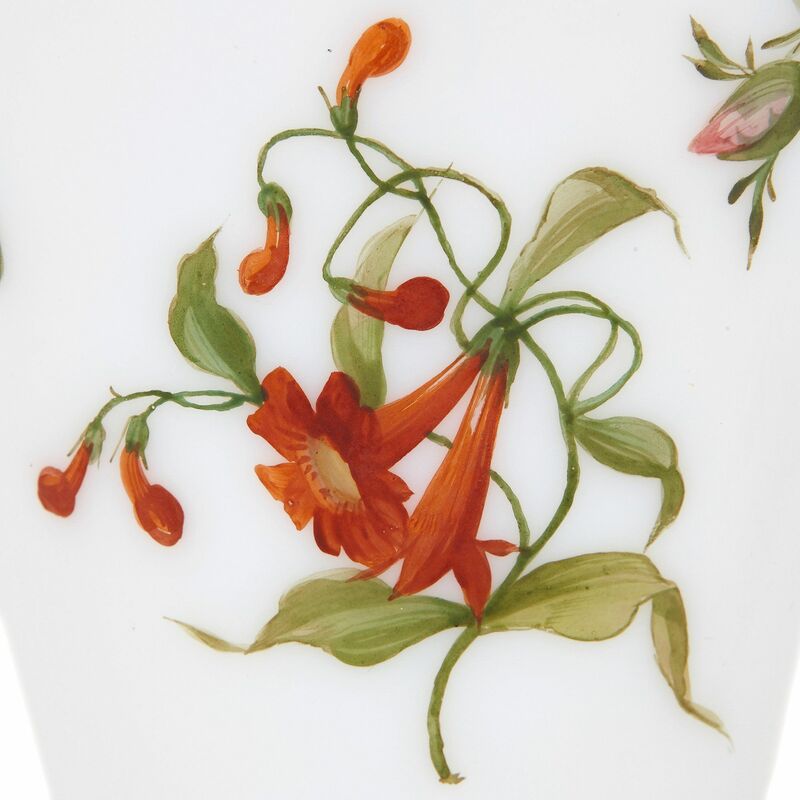 These exquisite glass vases feature delicately painted flowers on their translucent milk-like surfaces, which was the height of fashion in 19th Century France. 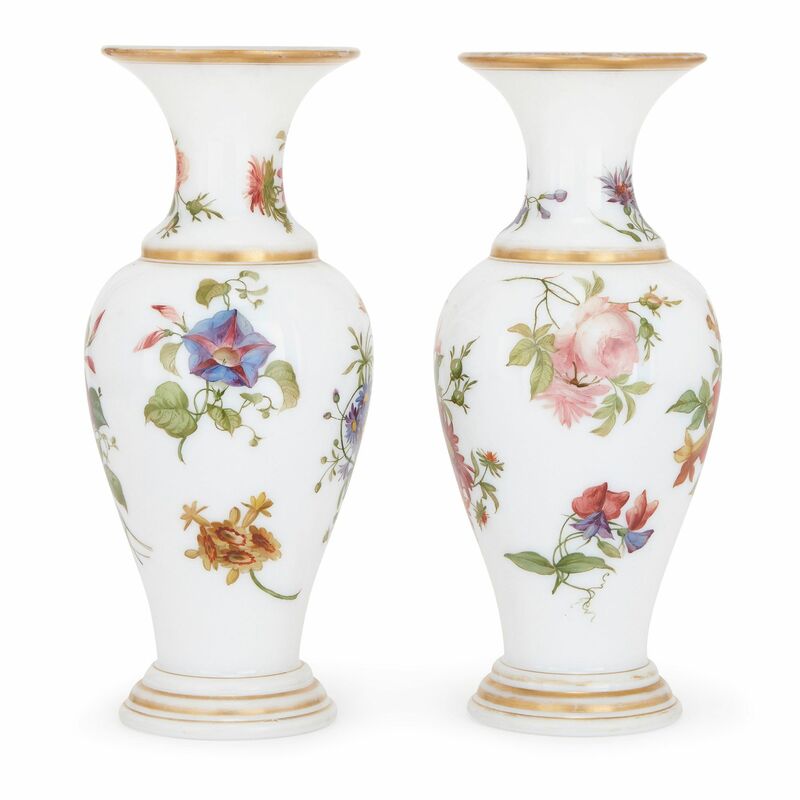 Each of the vases is formed entirely of opaline glass, which lends the surface the translucent appearance of milk, such that opaline glass is often referred to as 'milkglass'. 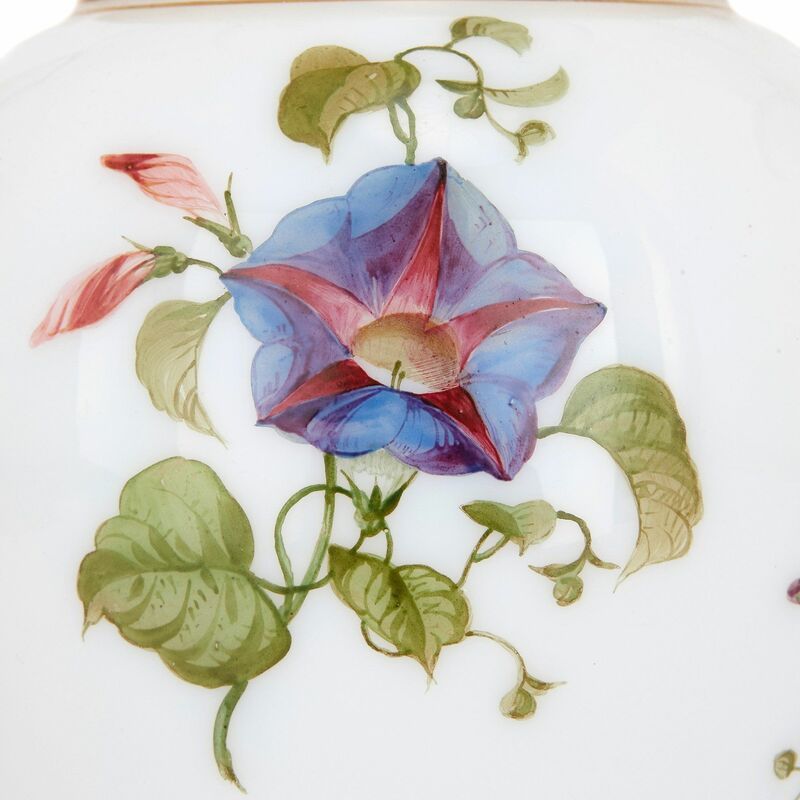 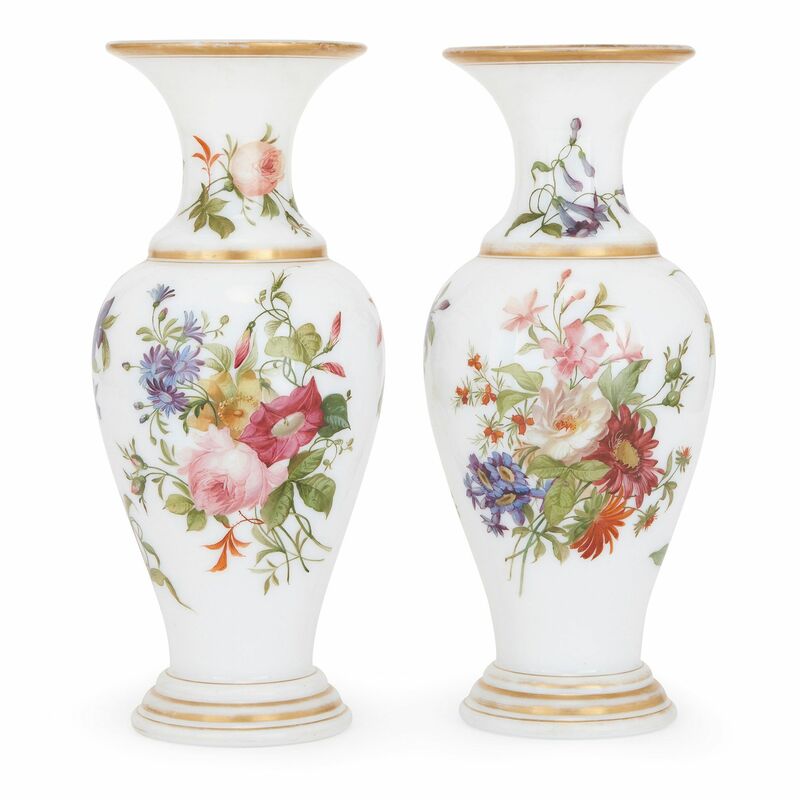 The vases are set on circular stepped bases with parcel gilt banding, and feature ovoid bodies that are painted with summer flowers. 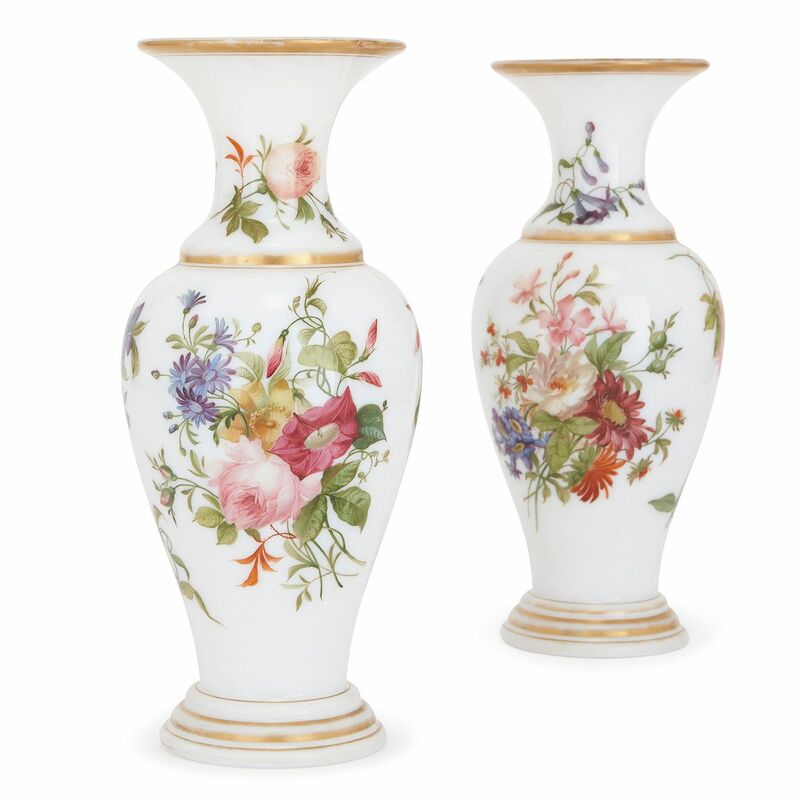 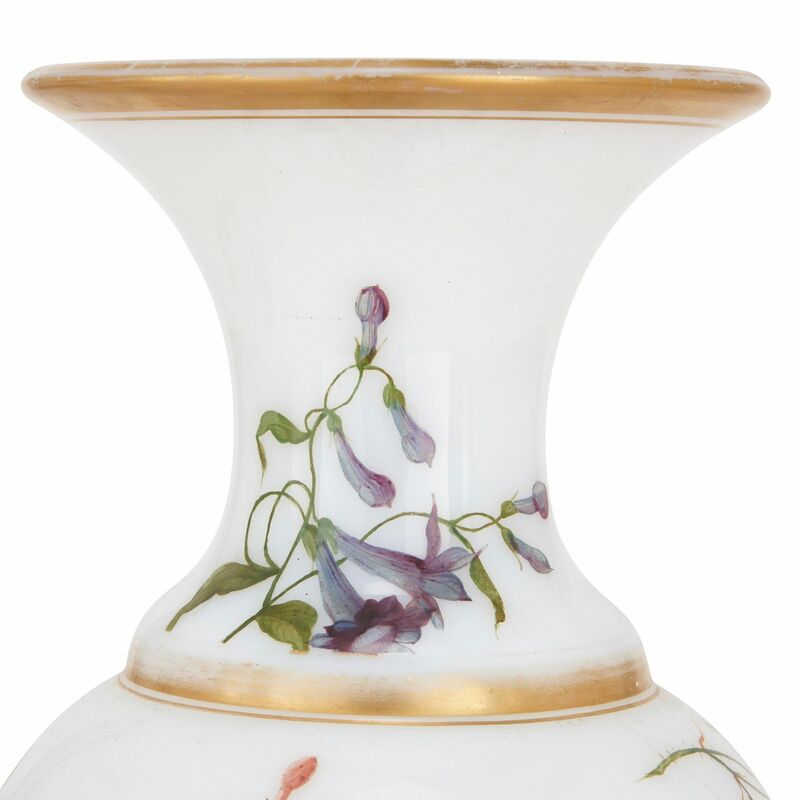 The waisted necks of the vases feature gilt banding where they meet the body and around the rim, and are further decorated with painted flowers. 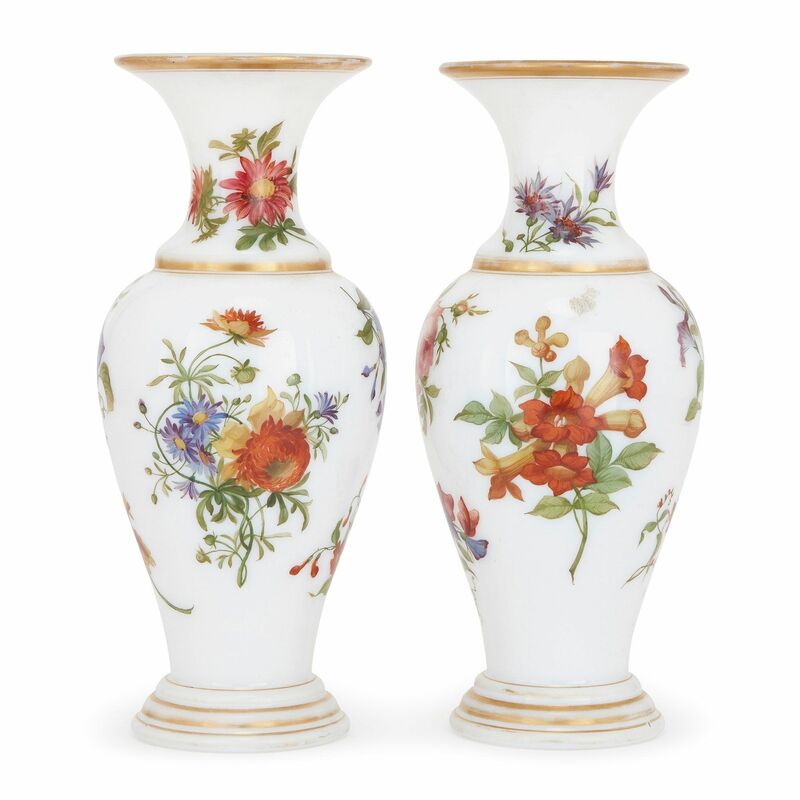 The vases are attributed to the renowned French glassmaker, Baccarat.